Offers: Hotel/Club offers discounted golf breaks. 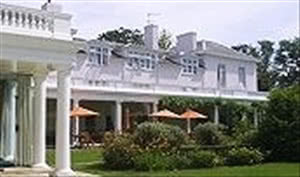 Hotel & country club facilities including accomodation, swimming pool & health club. 18-hole championship course with practice areas and chipping/putting greens. Manor of Groves Hotel, Golf & Country Club is set in 150 acres of beautiful rolling Hertfordshire countryside. The hotel has 80 well appointed bedrooms and incorporates a State of the Art 3000sq ft Health, Beauty and Fitness Centre, with a 20-metre pool, sauna, steam room, Jacuzzi, Technogym and aerobic studio. Manor of Groves boasts a superb 18 hole championship course set in 150 acres of beautiful rolling Hertfordshire countryside which provides a true test of golfing ability. Our par 71, 6,237 yard layout has been subject to a large investment of time and effort over the last few years to improve the already fine design. Divided into two differing nine hole loops, the front nine weaves in and around the old manor gardens whilst the back nine has wide sweeping fairways stretching out over stunning parkland. The course has excellent drainage, allowing play throughout the Winter in all but extreme circumstances. With a newly built Viewing Gallery Club House, Manor of Groves is ideal for all golfers, including visiting societies. Bunkers and greens good, tees very bad, fairways patchy and not cut. Won’t be rushing back. I love Manor of Groves. This was the third time I had played the course, in very tough conditions. The club house is open plan but very roomy. Staff are very friendly and can't be more helpful. The course is one of the best in Essex. Very challenging long par fours and a brutal 18th par 5. The course was in very good condition. I would highly recommend this course! START TO FINISH, A GREAT WEEKEND !!! A Group of 8 of us went to The Manor of Groves for a "Sunday Driver" on 21st & 22nd June. What can I say, it was superb from start to finish. We turned up Sunday Midday for a 1.20pm tee time, up till our tee time, we used the pro shop, clubhouse bar for brunch and visited reception; everywhere we went we were greeted with a smile, nothing was too much trouble. Then onto the course. Every hole was in great shape, tee boxes flat, fairways manicured and greens absolutely spot on, probably the truest greens I've ever played !! Dinner & Breakfast carried on in the same vein, superb food, served with a smile. Before the Monday round, we visited the health club. It was well equipped with exercise machines, sauna, solarium, steam room, Jacuzzi and a massive swimming pool, you just couldn't fault anything. Again, the Monday 18 holes was exactly the same as the day before and all this for just £88, WHAT A BARGAIN !! If you want a great round of golf or getaway for a day or so, then don't look any further than The Manor of Groves, you won't be disappointed !!! Played mid morning on a Wednesday and didn't encounter another golf within striking distance in front or behind, surreal as the golf course is great fun and in really good condition, well worth a do!